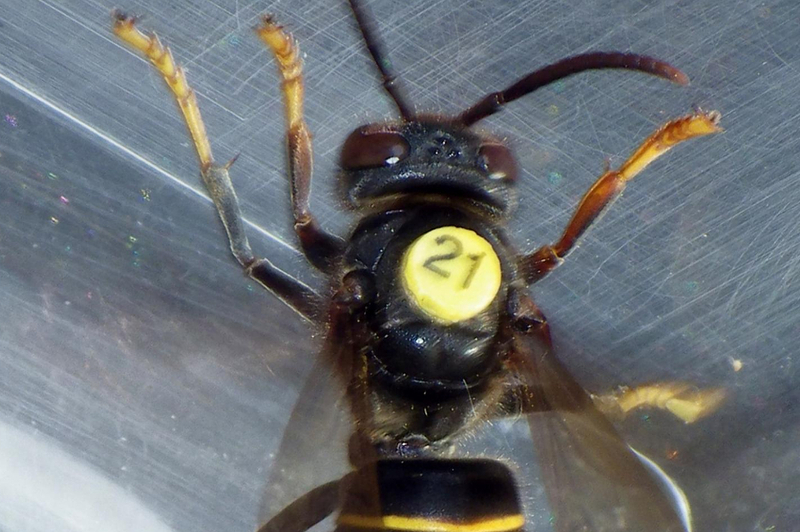 In what could be a significant boon for UK bees, scientists at Exeter University have tagged and tracked Asian hornets using radio telemetry. The invasive hornets are habitual predators of bees, ‘hawking’ outside hives and feeding the dismembered pollinators to their larvae. First discovered in Britain in 2016, the species is a further threat to the country’s bee ecosystem, which is already under threat from pesticides, parasites and habitat loss. red nests were found using this method, with tagged hornets leading the team across distances up to 1.33km. It was found that hornets were able to fly with the 0.28g tags so long as the insects themselves weighed upwards of 0.35g. The research appears in the journal Nature. “Our new method of tracking offers a really important new tool to tackle the spread of this invader, providing an efficient means of finding hornets’ nests in urban, rural and wooded environments,” said lead researcher Dr Peter Kennedy, from Exeter University’s Environment and Sustainability Institute, based at its Penryn Campus in Cornwall. The nests, which are often difficult to spot from the ground, are destroyed once located. 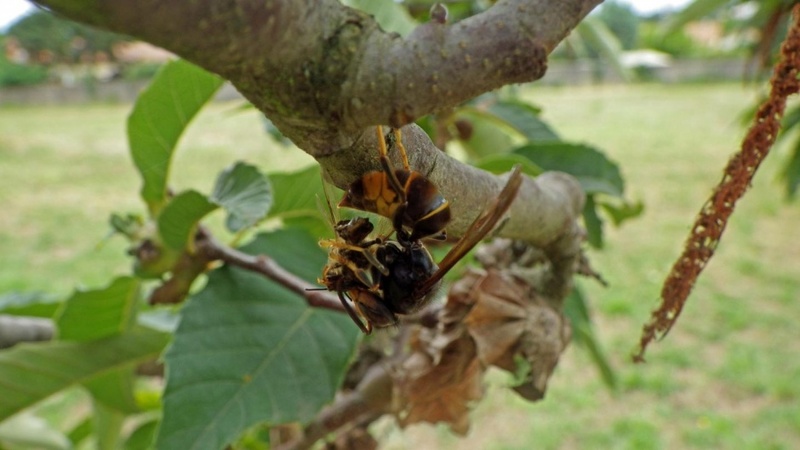 Such is the threat to native UK pollinators from the hornets, that the research was part-funded by beekeepers in the south west of England, where the hornets have been spotted over recent years. Primary funding for the study came via the Department for Environment, Food and Rural Affairs (Defra). disperse from each nest, each with the potential to make new nests,” said study co-author Prof Juliet Osborne, director of Exeter’s Environment and Sustainability Institute.